Developing a quality UAS requires a team with specialized skills and disciplines. You may find you need to supplement your existing team, or add new capabilities. FlightHouse can fill your product development, aircraft conceptual design and airframe development needs. Our on-demand engineering resources are a cost effective way to move your project forward through any stage of development. We team up with industry partners who bring the best in payloads, propulsion, avionics, autopilots, and other critical subsystems to deliver fast and affordable turnkey solutions. The FlightHouse Design Process goes beyond the classical manned aircraft design disciplines. 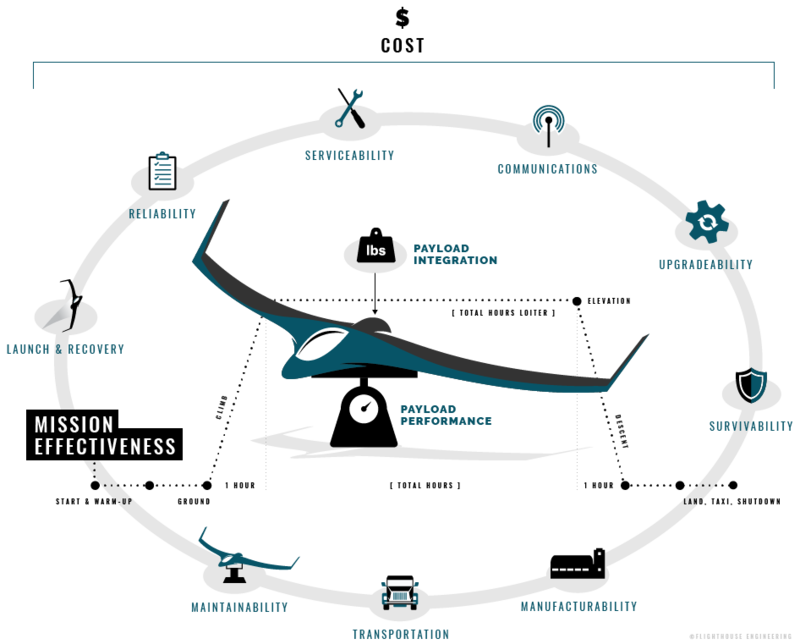 Our suite of tools and proven processes yields an innovative and balanced design, factoring in considerations unique to UAS, such as cost, mission effectiveness, payload performance, payload integration, upgradeability, launch and recovery, reliability, maintainability, serviceability, transportation, manufacturability, communications, and survivability. You want to get it right the first time. We can help. Our aircraft sizing capabilities cover traditional aircraft design disciplines including configuration design, aerodynamics, propulsion, structures, mass properties, subsystem analysis, and flight performance. We can rapidly optimize aircraft to best meet your design objectives. FlightHouse Engineering utilizes proprietary aircraft conceptual design and analysis software written by co-founder, Jay Gundlach. These tools can simultaneously analyze numerous design disciplines such as aerodynamics, propulsion, structures, mass properties, performance, and payload effectiveness with high fidelity to generate optimized aircraft. We meet functional, cost and schedule targets. Using the Solidworks and Solidworks Simulation suite of tools, we design parts, assemblies and entire air vehicles that are best in class lightweight structures and manufacturable. We can handle all your Configuration Control and Product Life Cycle Control considerations. From complete monocoque airframes to targeted composite elements, we’ve got you covered. 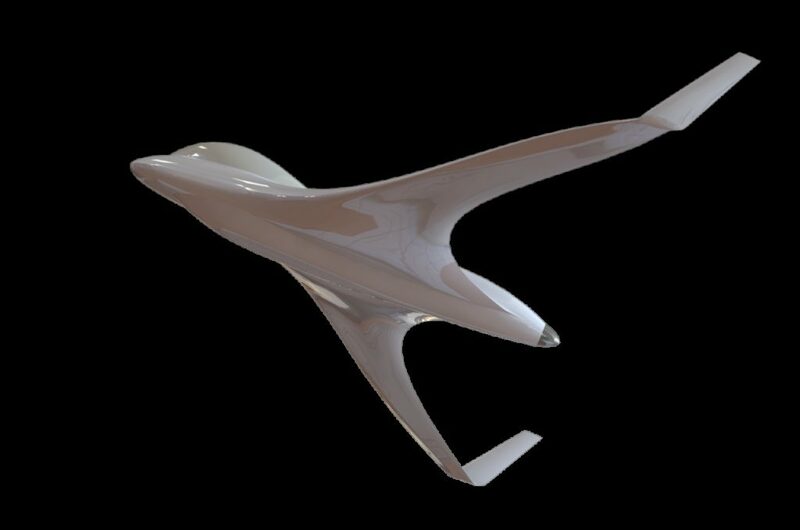 Our team can design and build prototypes of new aircraft concepts using our in-house prototype lab and our trusted network of outside fabrication partners.